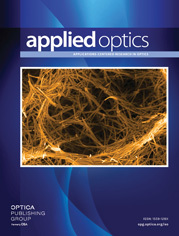 Single-mode optical fibers provide the ideal receiver optics for dynamic light-scattering measurements. Theoretical analysis shows that with a single-mode fiber one can achieve a theoretical limit of 1 for the coherence factor while maintaining a high light-collection efficiency. In fact, the sensitivity of the single-mode receiver surpasses that of a classical two-pinhole setup with a coherence factor of 0.8 by a factor of 4 and the advantage increases rapidly when a still higher coherence factor is desired. In addition, a single-mode fiber receiver offers the possibility of working with an arbitrary large scattering volume and with an arbitrary working distance. All these features are also demonstrated experimentally by a remarkably simple apparatus that consists, essentially, of a commercial laser beam delivery assembly.